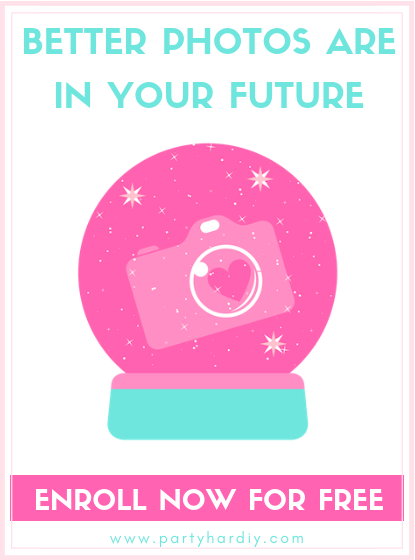 Getting organized was one of my top 2019 goals, since I feel like time is flying by since Hailey arrived! To help keep myself organized, I got this awesome calendar from Pinhole Press and I am so excited to share it with you! Disclaimer: the post was sponsored by Pinhole Press BUT I love their products. The calendar comes in 3 sizes, so I picked the medium size so that I had plenty of room to write but it wouldn’t take up too much room near my desk. The calendar is dry erase and sticks right onto the wall, so I created this pen cup out of a toilet paper tube (WHAT?!) so that I can keep my dry erase markers handy. It’s also super cute and matches any decor when you wrap it in some washi tape! These tubes stick on the wall with just a command strip, so you don’t even need to worry about messing up your walls or pulling out your power tools. Head on over to the Pinhole Press blog for the full post! If you’re anything like me, you have a stack of holiday cards from friends and family that you don’t know what to do with. Keep them? Throw them away? So, they usually end up in a pile on the coffee table until April when I stuff them somewhere that I’ll probably never see them again. But, what if there was a better way to keep those cards so you’d actually get to enjoy them, year after year? And what if it was fun and easy to do?! 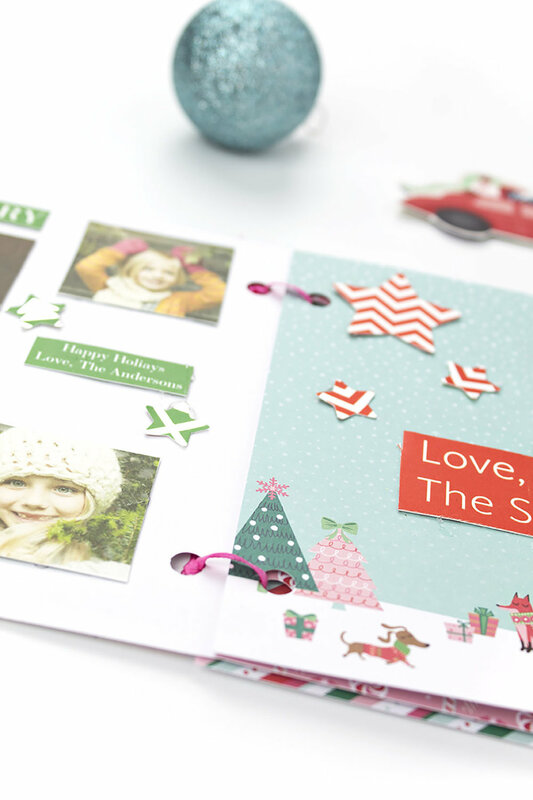 Pop on a Christmas movie and grab your glue gun- we have a book to make! *This post was sponsored by Pinhole Press, but all ideas and opinions are my own. This is perfect to make in the days between Christmas and New Year’s. I find that I’m a little sad that the holiday fun is over, and my life feels a little bit empty. This is a perfect excuse to prolong the holiday fun a bit longer, and watch all those Christmas movies you didn’t seem to have time for! Head on over to the Pinhole Press blog for the full DIY. Seriously the cutest! I’m planning to make mine this week, now that we are taking down our Christmas decor. 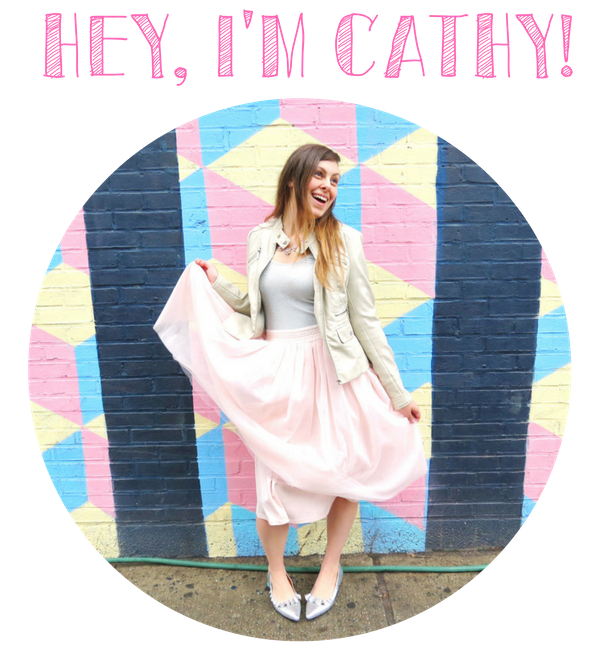 Head on over to the Pinhole Press blog to see the full DIY! Can you believe we have less than 2 weeks until Christmas? *Runs around to do all the things. * I’ve been spending my days on the couch with a baby in one arm and a remote in the other most of the month, but I did manage to do a few Christmas-themed projects! 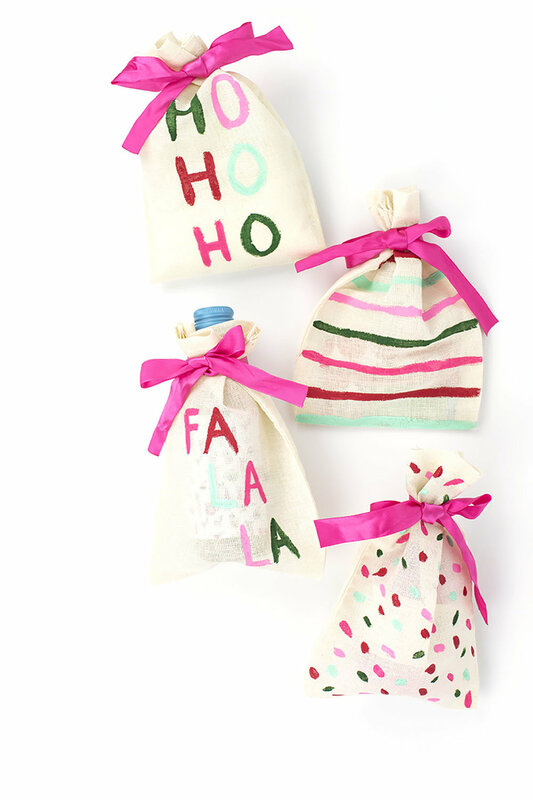 So, let’s talk about these gift pouches and why I love them. First off, they’re super affordable. Second, they’re adorable. And third, they’re so easy to make that the whole family can get involved. The full DIY is on the Pinhole Press blog. So, what can you use these pouches for? The possibilities are endless! 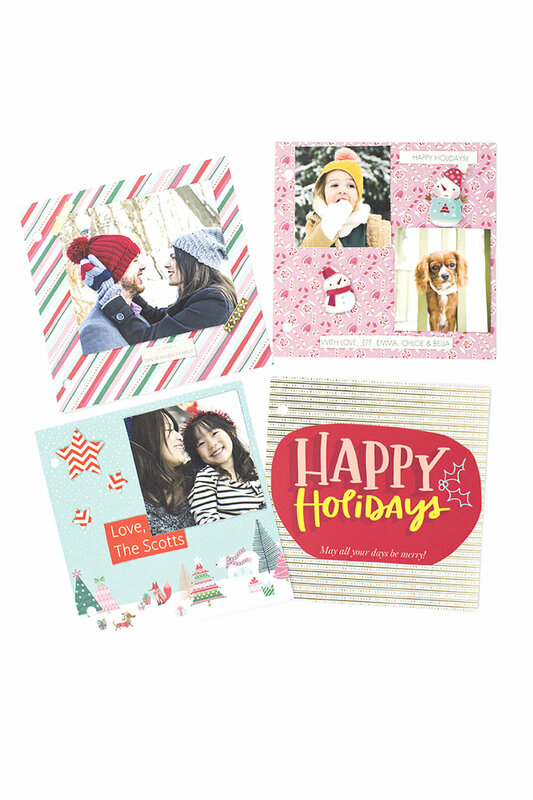 I’ve used them for gift cards, mini wine bottles, stocking stuffers… you could put a cute pair of socks, makeup, sprinkles, or even cookie mix! They’re the perfect size to hold your smaller goodies and you can paint them in any color! I used my fave modern Christmas palette of pink, red, aqua blue and emerald green. So head on over to the Pinhole Press blog for the full how-to so you can make these bad boys for yourself! Thanksgiving is coming up soon, and it seemed like the perfect time to debut these faux leather drink markers on the Pinhole Press blog! They’re perfect for preventing a very sad reality at crowded events- abandoned half-filled wine glasses, unsure of who their owners are. Don’t let this happen to you! Especially when the solution is so simple- and adorable. 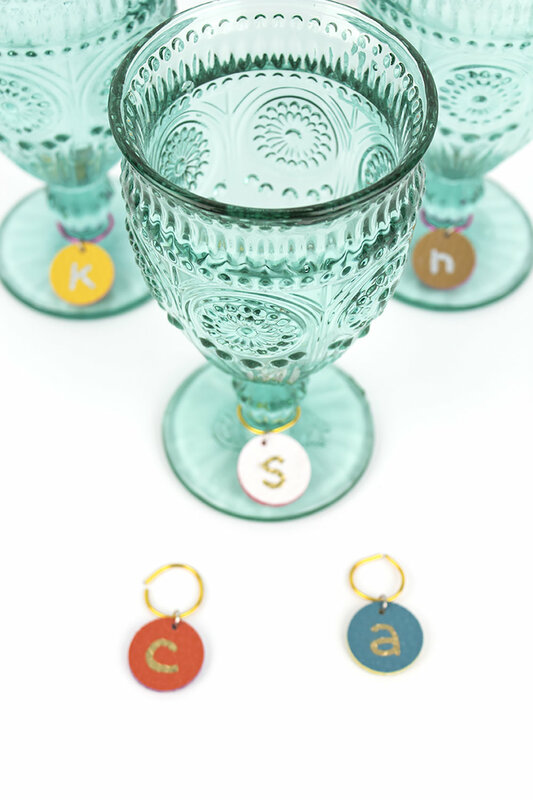 Within a matter of a few minutes, you can whip up a set of these drink markers for everyone in the family. They’re also great as seating cards when looped on a pumpkin stem! Dying to make a set for yourself? Head on over to the Pinhole Press blog to see the full post!